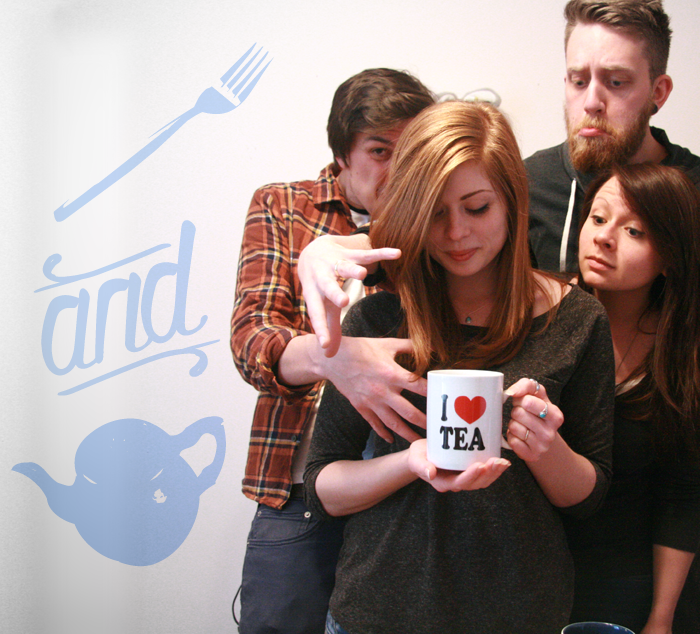 Tea total(ly awesome) - Fork and Good. 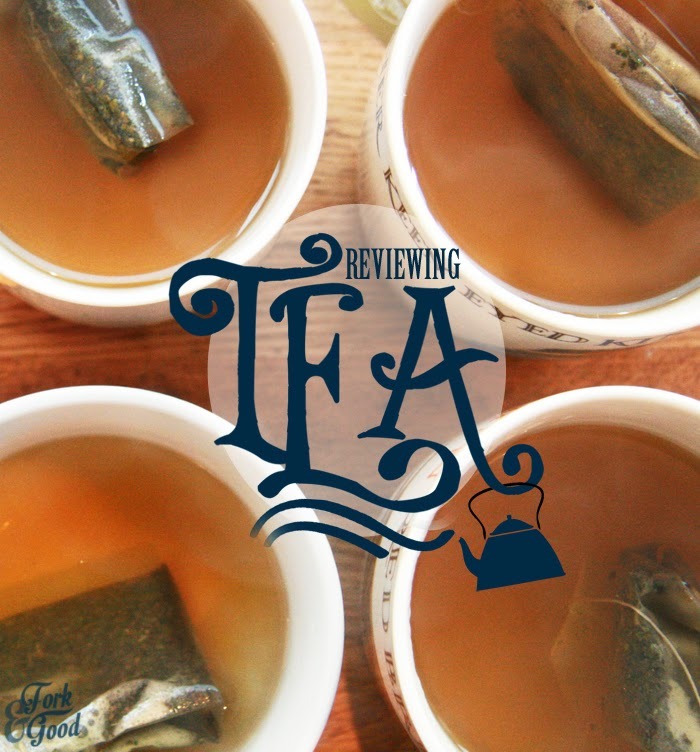 Disclaimer and all that Jazz: Twinings sent me some goodies to try, but the views in this post are mine, and the multiple people I shared the tea with. I wasn't paid to write it (more's the pity, I need to fund a raging tea habit here guys) and all pictures in it were taken by me or my compadres. So, I'm going to try and write this post without sounding like a blithering idiot. Okay, I failed. Let me start again. Last week Twinings offered to send me a box of their new teas to try, and I accepted because a) I'm not an idiot and b) I love tea. 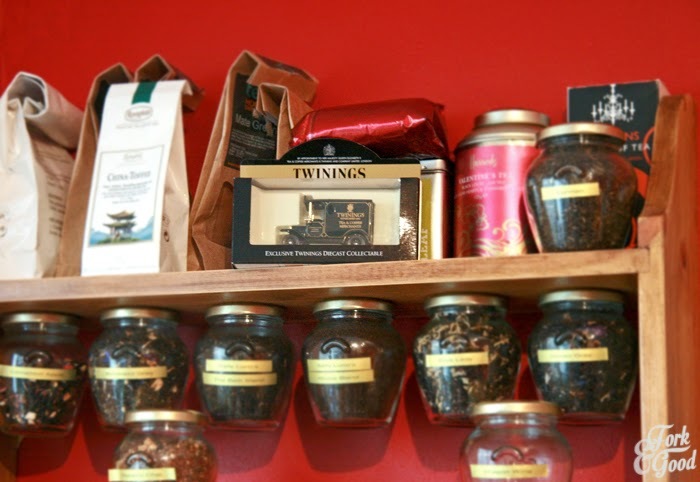 Twinings sell some pretty good teas for a big company. (BUTTERMINT ROCKS MY SOCKS OFF.) So, the question is how to sample some new teas from a company that sells things I already love, and make it sound unbiased. Yep. Some questions you might have about this photo. Yes that is my kitchen. Yes I am really that short but it doesn't help that I'm standing next to gigantor there. Yes that is a bang on selection of tea next to us. It's not even all of it. MUHAHA. Yes, my husband continues to grow his beard. I have a horrible sinking feeling he is aiming for Gimli standards. 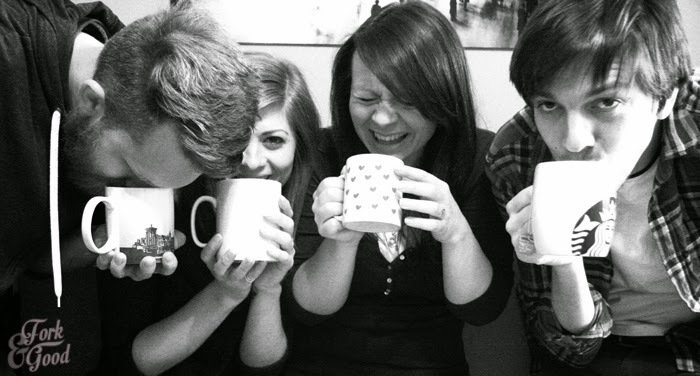 So here we are, just four buddies, drinking tea and combining it with a roast dinner on a rainy bank holiday Monday. I don't think you could make it anymore British if you strapped a bulldog to shakespeare and fired it into a Monty Python sketch.... Yeah okay, I dunno about that last sentence. I ran out of British Stereotypes. This happened to coincide on a pretty good day too. THE DAY WE GOT A NEW KETTLE. Awesome collection of mugs. DOUBLE CHECK. I AM REALLY OVERDOING THE CAPITALS. I MIGHT STOP. So who is in the post? AYSE: One of my stunning best friends with as much of an addiction to tea and cool mugs as I have. 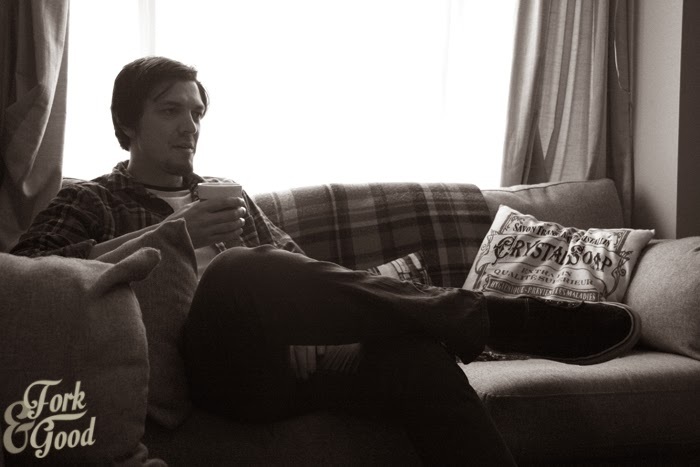 JAMES: Looks a bit like Flynn Rider from Tangled. Prefers a yorkshire brew but is willing to give these a go. 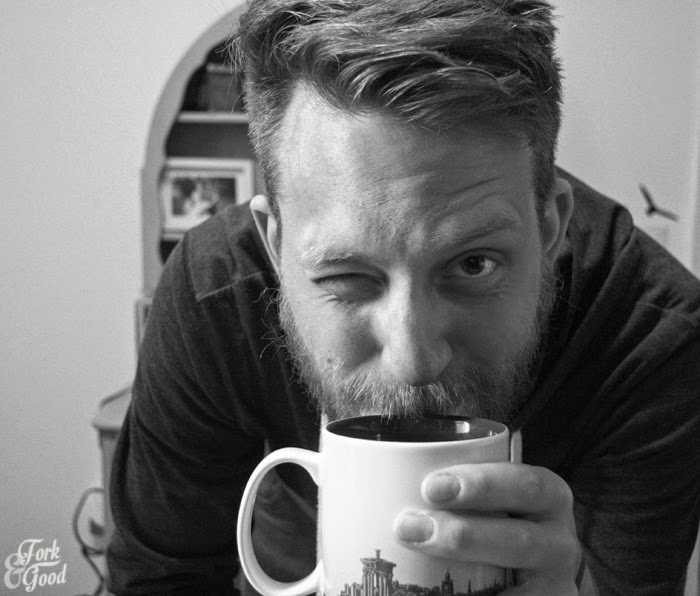 ME: Brewer of kettles, editor of photos and writer of words. So the teas I was sent to try are these three. 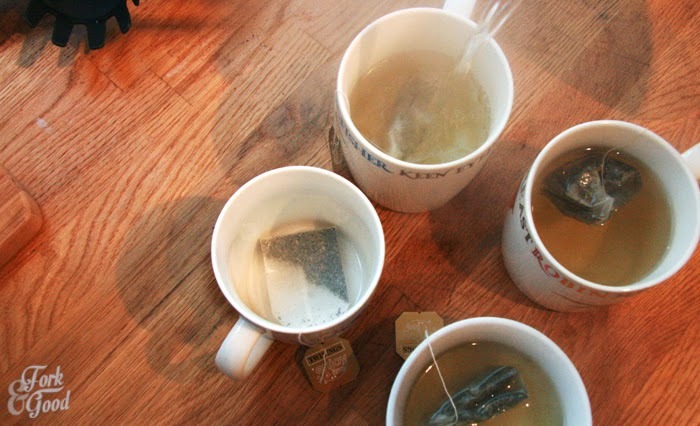 Now, I don't know if you know much about me, but I'm totally a sharer, and I'd feel pretty bad just letting three big boxes of tea just sit in my house when others could enjoy them. So these guys weren't the only ones who got to sample the goods, I also sent some in the post to an awesome friend down south, brought some into work, gave some to my mum and offered them out to any other tea lovers who had wanted to try them. The first one we tried was the gingerbread, because none of us had ever had it before. 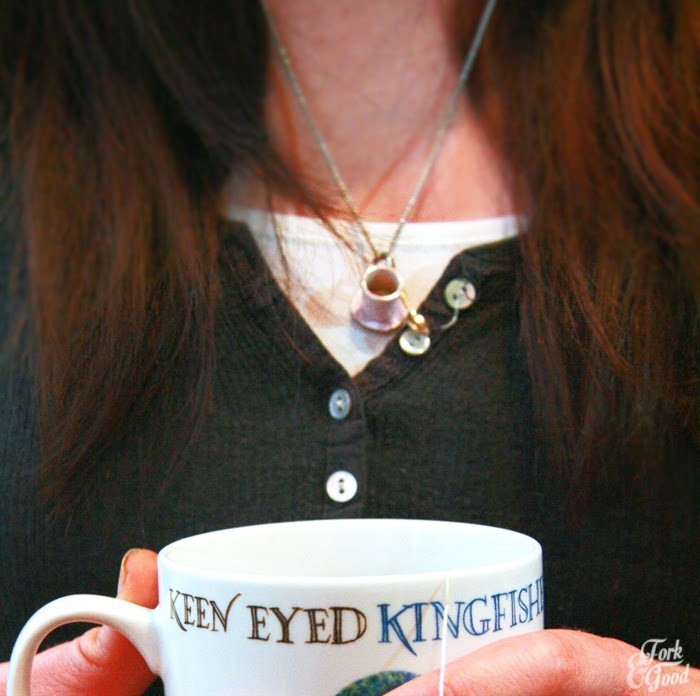 The two beaker type mugs were also sent to me by Twinings, so this was their first use. They were very fancy. They didn't get hot around the outside, which was very strange. I love a gadget. I also love a good mug and I do have quite a big collection. The other two are from the Harry Potter studios. So there's not much to write about the preparation of tea except to READ THE RECOMMENDED BREWING TIME. You really do get such a better result. Especially with teas like this that have such a delicate flavour. These are just a few of the main comments from people I shared the tea out with. 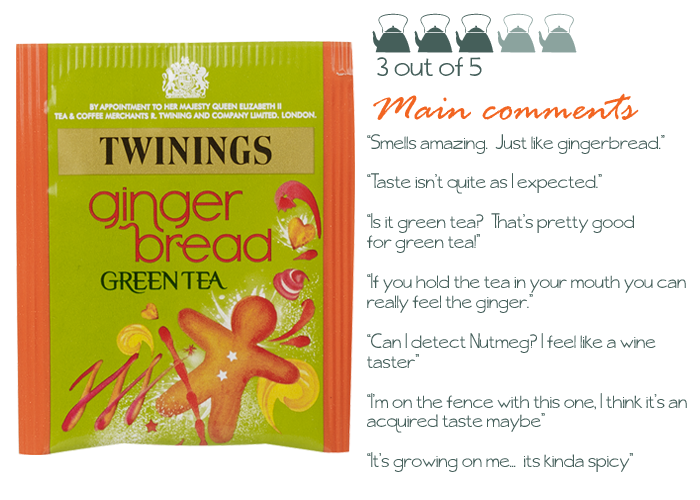 It appears to be the least favourite of the three, but for me it would be because I'm not actually that big of a fan of gingerbread. 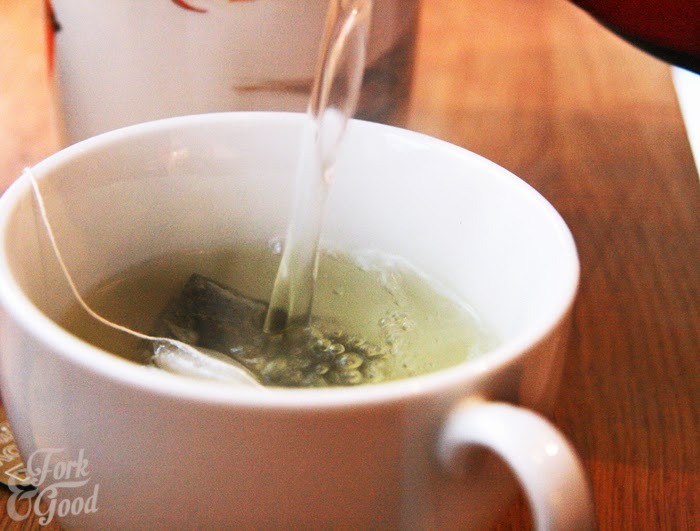 However, it wasn't undrinkable, and a person who usually hates green tea found it made the tea quite palatable. It does smell amazing though. We really did feel like wine tasters. ONTO THE NEXT BREW. With a new brew comes a WHOLE NEW SET OF MUGS. 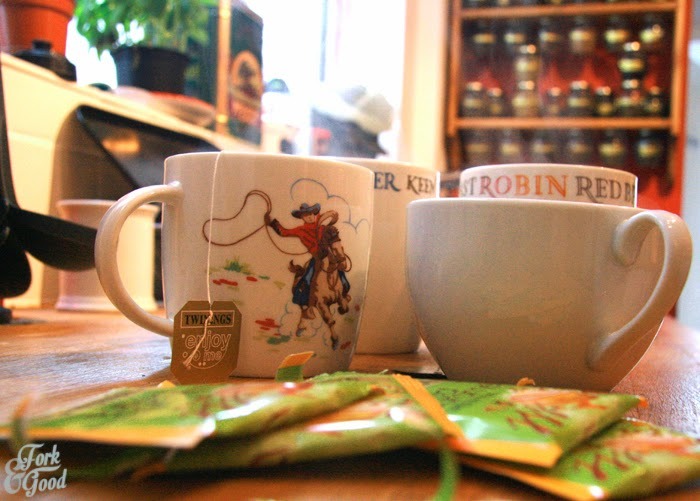 This time, we drank from two birdy mugs, a tea cup and a cath kidston cowboy mug. Let's begin. The smell of this one was amazing. It's quite sweet but there is a slight hint of the saltiness in there. 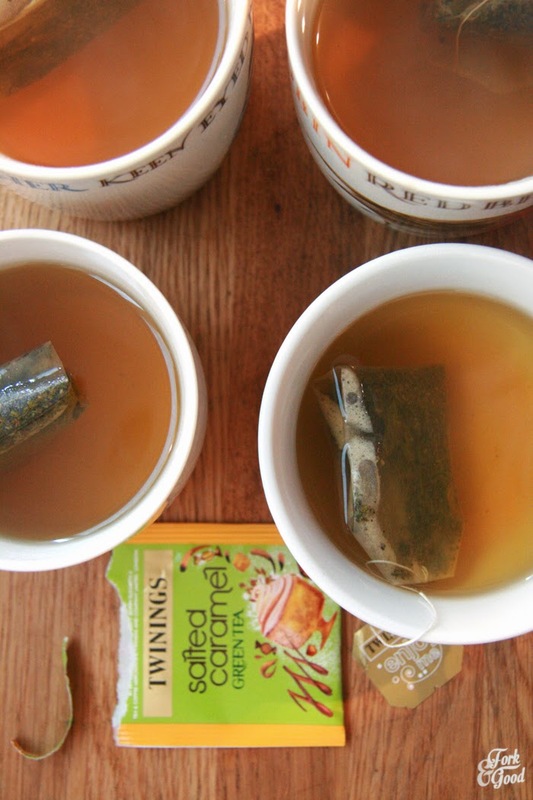 It really does feel a bit naughty, especially if you're used to drinking plain green teas or fruit flavoured ones. The only complaint seemed to be that it needed more of a kick. We actually had another one of these each as we liked it, then we started making our roast dinner. So tea tasting became tea drinking. Typical mug hugging chatting and photo taking. 12 cups of tea guys! 12! ONTO THE NEXT! The next tea was the caramelised apple, and I think it's safe to say that this was the winner in terms of favourites. Every single bit of feedback I had on it was positive. 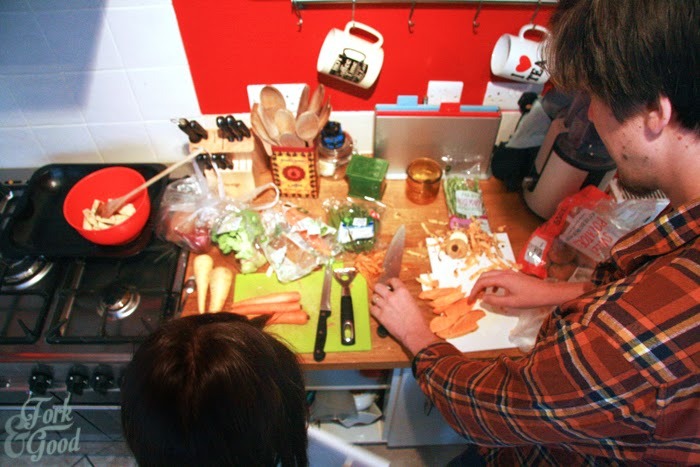 The night continued with the largest roast dinner we've cooked for years, several more cups of tea and a film night. Perfect way to spend a scummy rainy bank holiday. 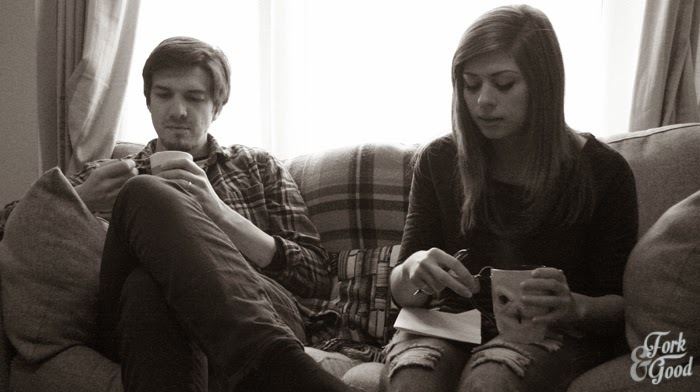 Big thanks to Ayse & James for spending the day laughing, drinking tea and queuing for the loo with us. Everyone had a go on the camera, so photo credit goes to everyone as I can't remember who took what. Teamwork. 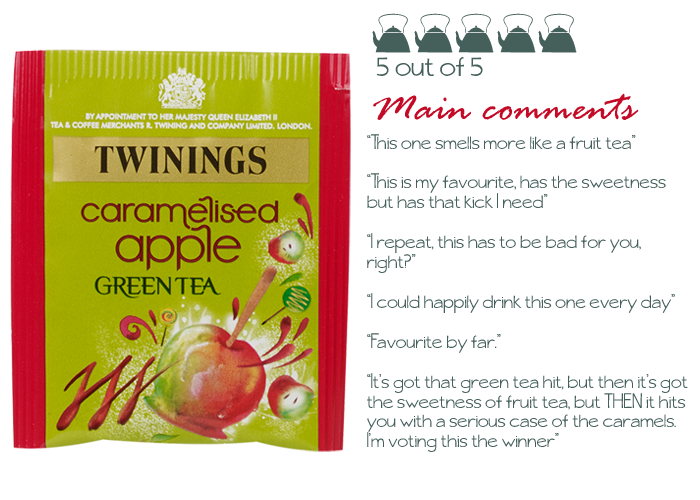 Big thanks as well to everyone who sampled the tea on my behalf and gave me their opinion. I'm still waiting on a few, but I'm pretty sure they are going to leave their opinions in the comments! That one belongs to the husband! There's a lot of weird hand action going on in this picture.. but I only realised after I'd spent 20 minutes editing it! 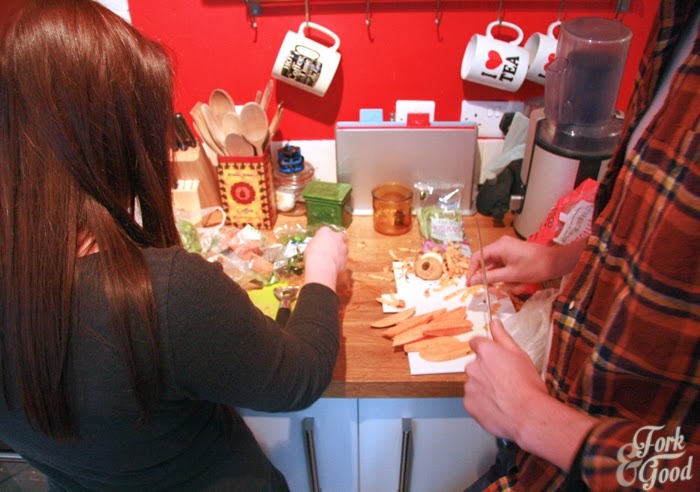 Fantastic blog Emma! Green apple tea here I come! O.o I want to come over for tea!! Ohh that apple green tea does sound really good. What a fun post! Thanks Abby :) You are more than welcome to come over for tea if you can take me to the beach! This is such a FUN post, Emma. 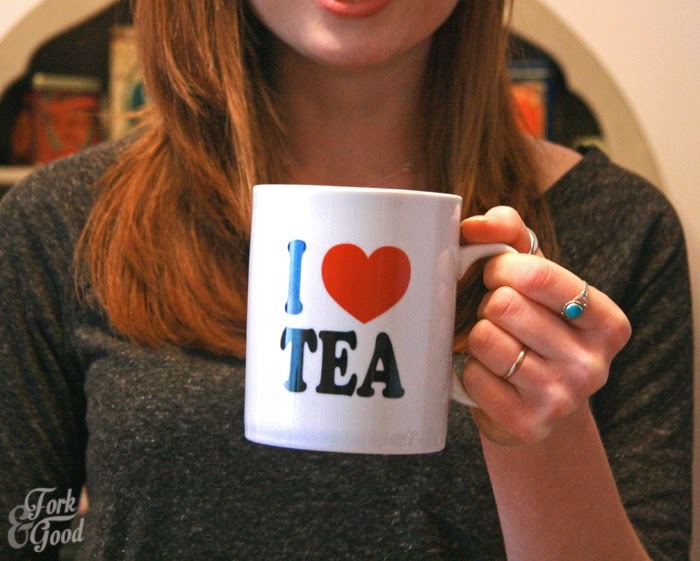 So happy to know that you are also a tea drinker because I love tea too. 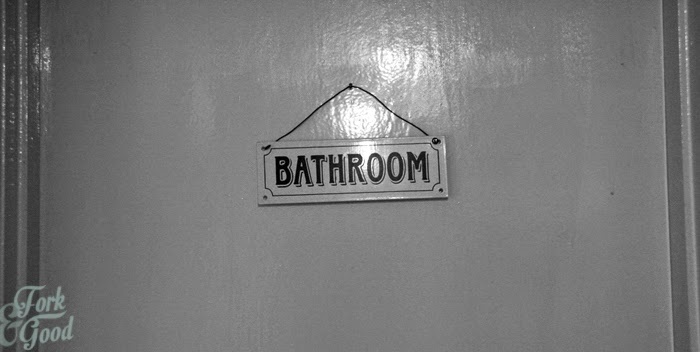 Love those black and white shots. Love this post. 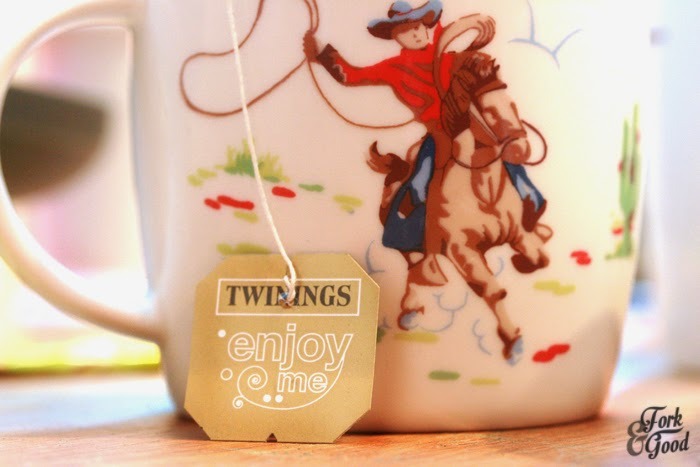 I'm a huge Twinings fan, kinda crazy about it. 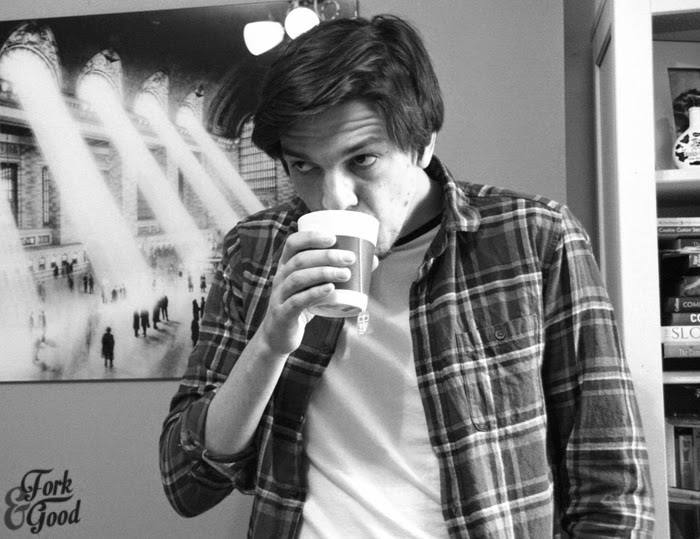 When I went to London once I went to the main store and bought way too much tea and the customs officers thought I had a tea issue when entering back into the USA. Ooops! Wow, that's some tea collection!! 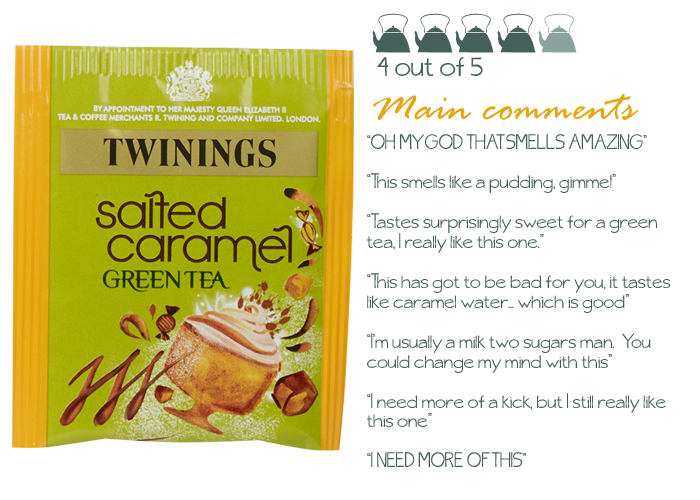 I'm not entirely sure about the idea of salted caramel, which just seems a bit wrong! But the idea of gingerbread is really growing on me, I'm definitely going to have to get my hands on some of that! Are you kidding me, how did I not know twinings were doing these!? They look awesome. 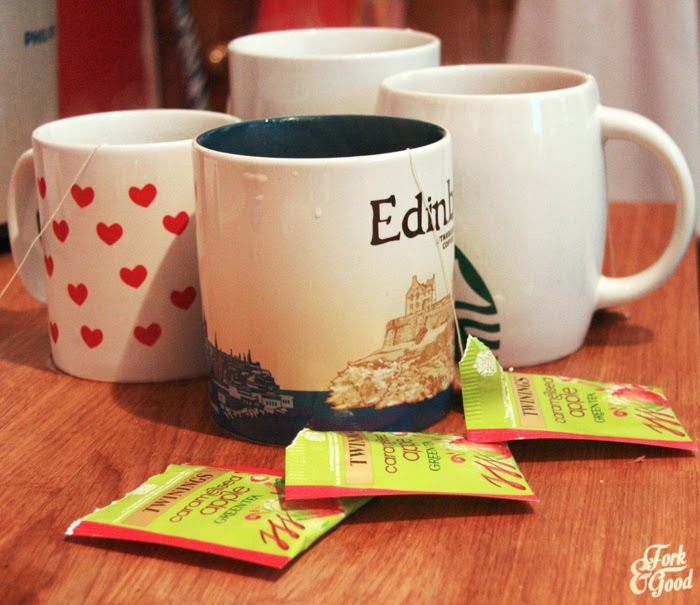 I totally have that Cath Kidson mug and the Edinburgh one. Great minds hey? 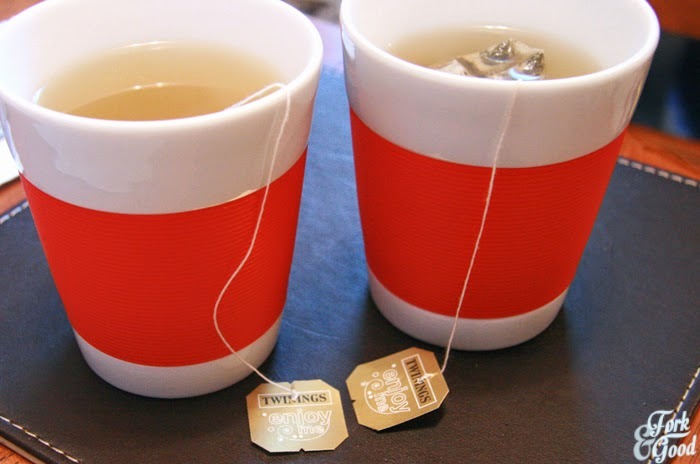 How do I get twinings to send me some? haa. 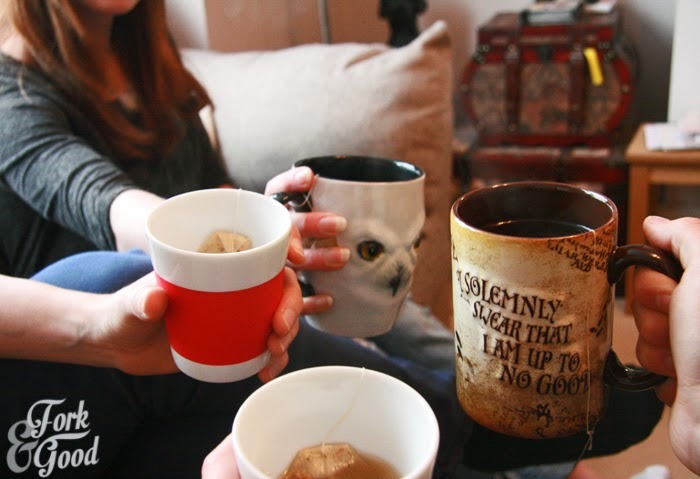 Teehee, We totally have awesome tea-mug collections! Teas were awesome, I highly recommend! Cheers :) Glad you liked it! Love this post. You made me laugh a lot reading this, and now I think I want to come and drink all the tea at your house. 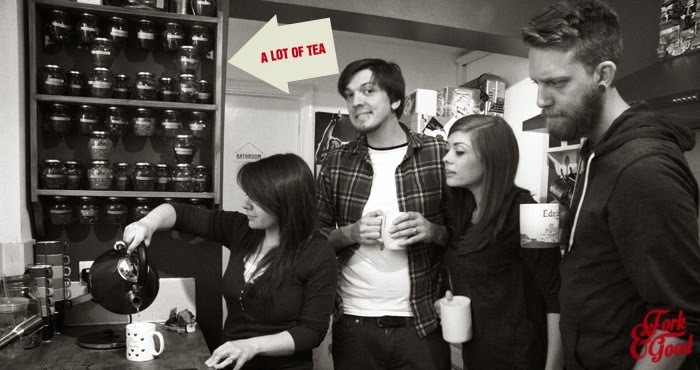 I am very jealous of that tea collection. Ahh cheers! 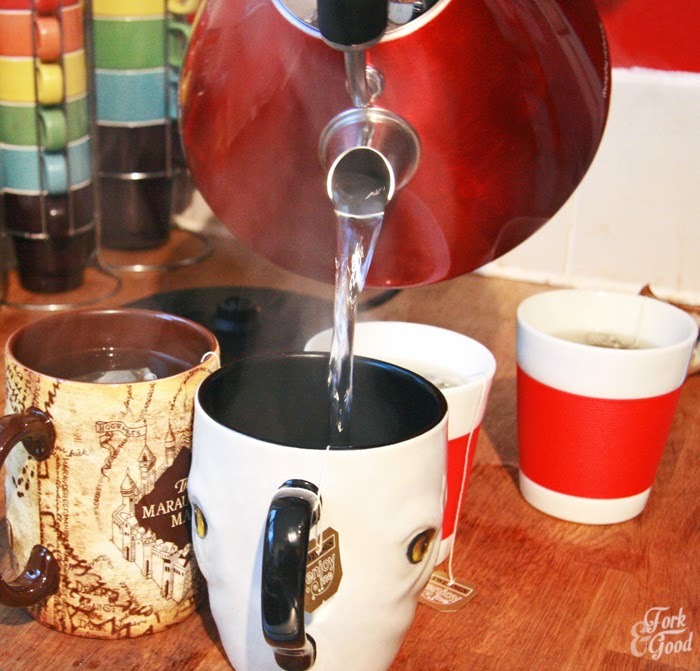 Hehe, Most people love being offered a cup of tea at mine cause you always get to try something new. I feel like a cafe! Brilliant review, what a great idea to get your friends involved. I LOVE your kitchen.